We have been all around Cape Cod the past couple days. 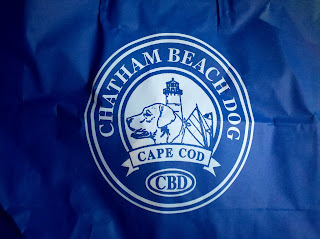 Yesterday we had lunch in Brewster, had ice cream in Centerville, played at a dog park in Dennis and shopped at the most awesome dog shop in beautiful Chatham! We started with a seafood lunch at Cobie's in Brewster. It is dog friendly outside at their picnic tables, but it was very hot out, so we ate at a picnic table in front of the Jeep to watch the boys in the air conditioned car. They were jealous of the yummy eats they could see us enjoying. Then we headed to famous "4 Seas Ice Cream" in Centerville. It was good, but honestly, I have had much better. 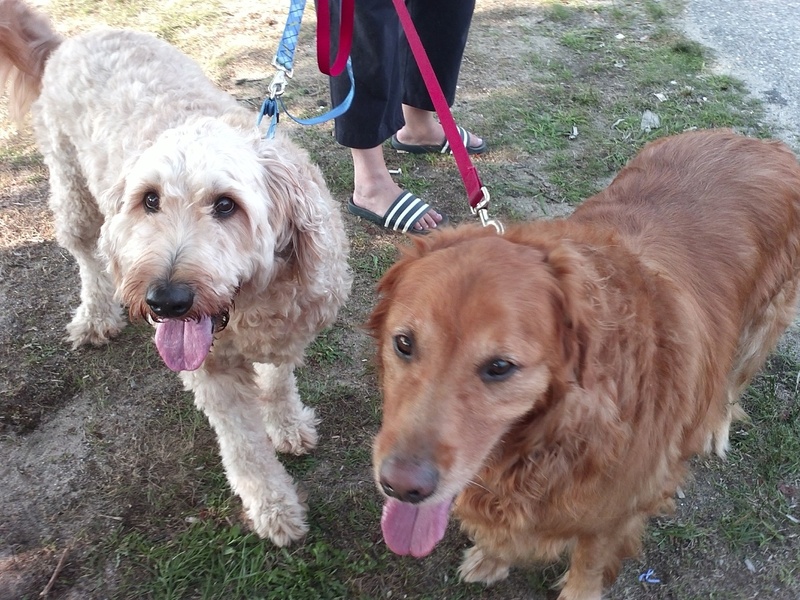 Piper and Murray's "lifestyle change" took a little detour so they could enjoy a doggie cup too...after all, we needed fuel for our run at the Dennis Dog Park! 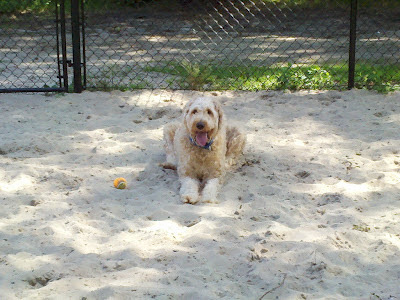 This dog park, when completely finished, will be really nice for dogs and dog owners. 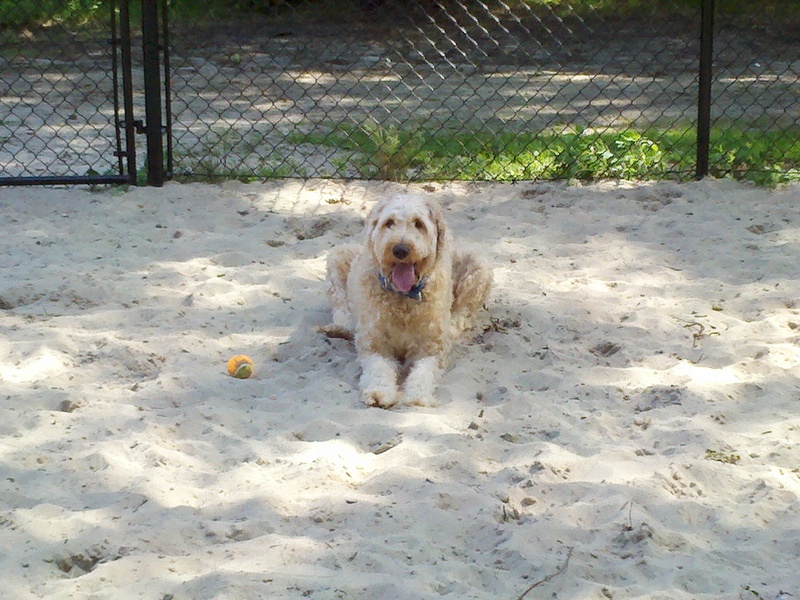 It has access to a pond for dog swimming and its fenced in areas are under the cooling shade of the trees. The "small dog" section is all fenced in, so we used that part, as only a few dogs were coming and going and we had most of the park to ourselves. The large dog section was not completed yet. Next, came my favorite part of the day! 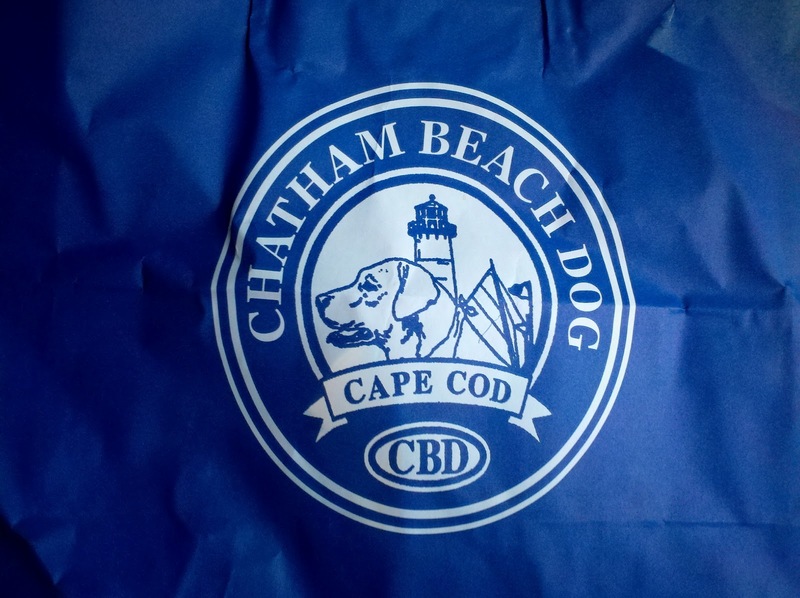 Chatham is beautiful and its signature dog shop, "Chatham Beach Dog", is one of the most adorable, quaint, wonderful dog shops I have ever been in! The staff and owners were so incredibly nice, helpful and hospitable, that I wanted to stay forever! 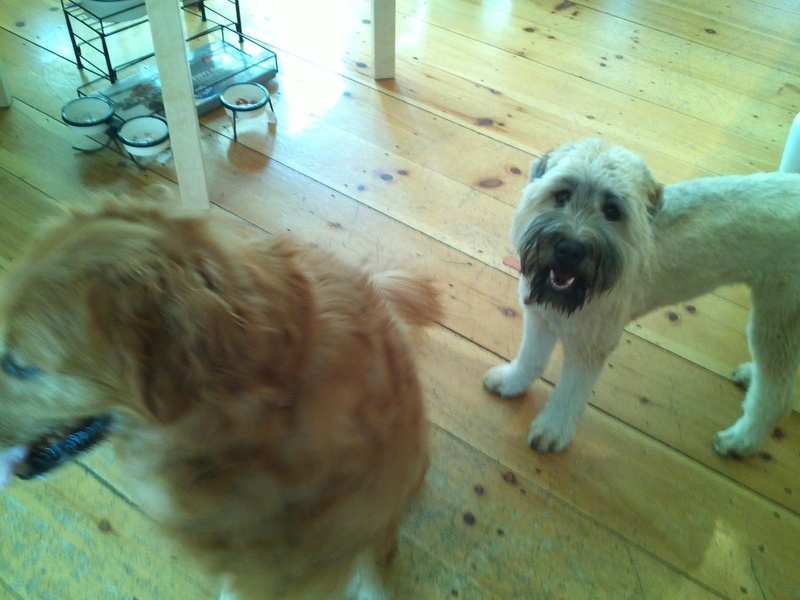 Their dogs, Tucker (golden retriever) and Pippa (Wheaton Terrier), ran free inside and greeted us as we came in. We were encouraged to let Piper and Murray run free with them as we shopped, so we did. They had a great time and became store greeters with their new friends! They got lots of treats and Piper even tried to work the register behind the counter (well, he checked it all out behind there anyway). I could have bought so many cute things, but I restrained myself. We came away with a couple t-shirts for ourselves, a bag of "peanut butter dots" for the boys and a stuffed lobster for Murray...which he carried from the store to the car! We were just about done with our day when we stopped by the Chatham farmer's market where the boys got a couple more treats (oi vey) and we got some beef from the meat guy. We also stopped by Coastguad Beach before dinner for a quick swim. Piper bounced right in and rode the big waves into shore. It was awesome to see! Murray wasn't in a water mood, so he tried to stay lounging on the beach. We didn't stay long. We were all hungry from our busy day and the thoughts of sharks kept entering my mind as there were tons of seals around. So, we headed home, had dinner and collapsed into bed. 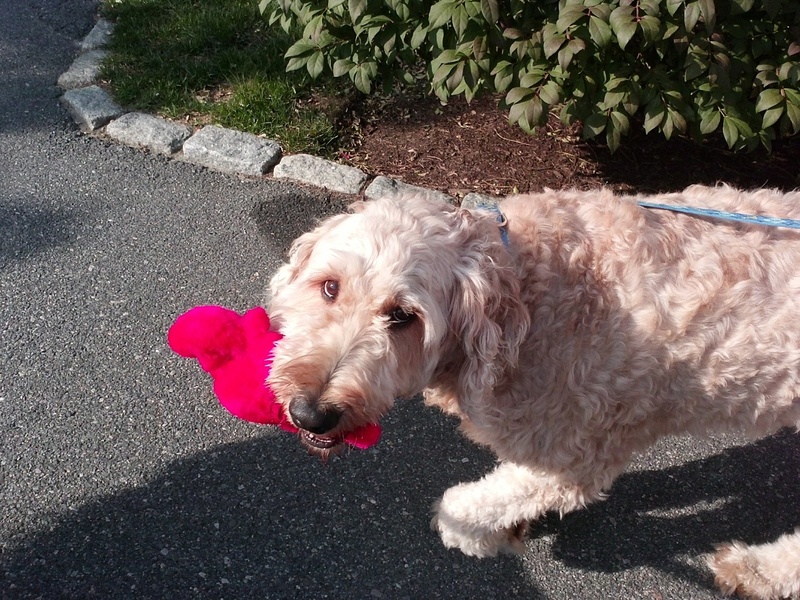 Yep, I got a lobster! Heading out to ride the waves!